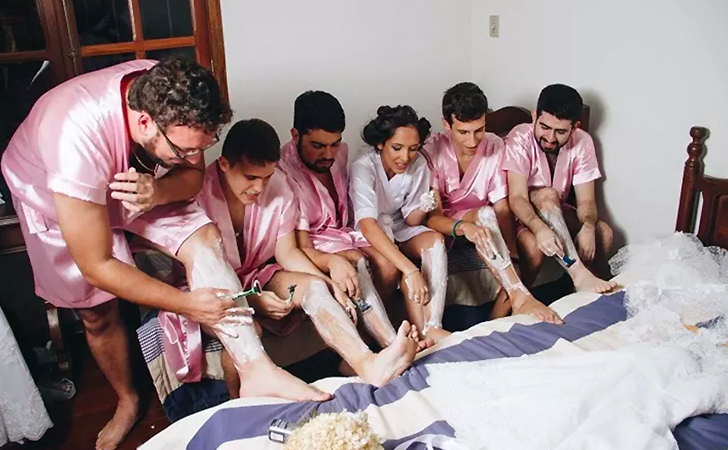 A wedding for a woman is like her childhood trip to Disney, every Christmas she’s ever experienced, and the purest feeling of ecstasy all rolled into one….especially during the bachelorette party when booze is flowing. For 24-year-old Rebeca Sinohara, however, her one disadvantage was that she had no female friends to party hard with. You see, the Brazilian woman was a computer engineering student. 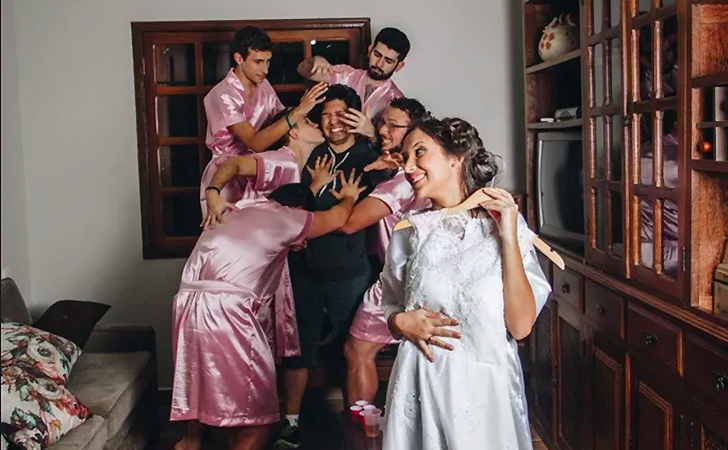 There were 56 dudes in her class and only four girls, so her choice of friendship was pretty limited. “Of course I have girlfriends from childhood and high school but we are not as close as before, and there are some girls that I lived with in shared housing during university, but none of them I became BFFs with,” she’s stated. So with no girlfriends to party the night away, she resorted to the only other gender readily available to her. 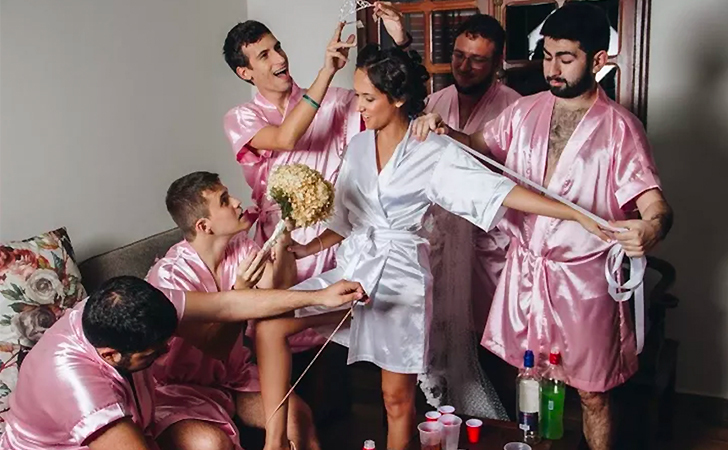 That’s right, her bachelorette party consisted of herself and five of her closest guy pals! Her fiancé even decided to show up and watch all the fun! As he watched the antics going on, he decided he really wanted to be a part of it, so they found a way to incorporate him into the festivities. So far the images have been getting quite a bit of attention on Facebook, where they’ve been shared over 50,000 times! SHARE this article if you’re a girl with mostly guy friends, or if you just think this is pretty hilarious!